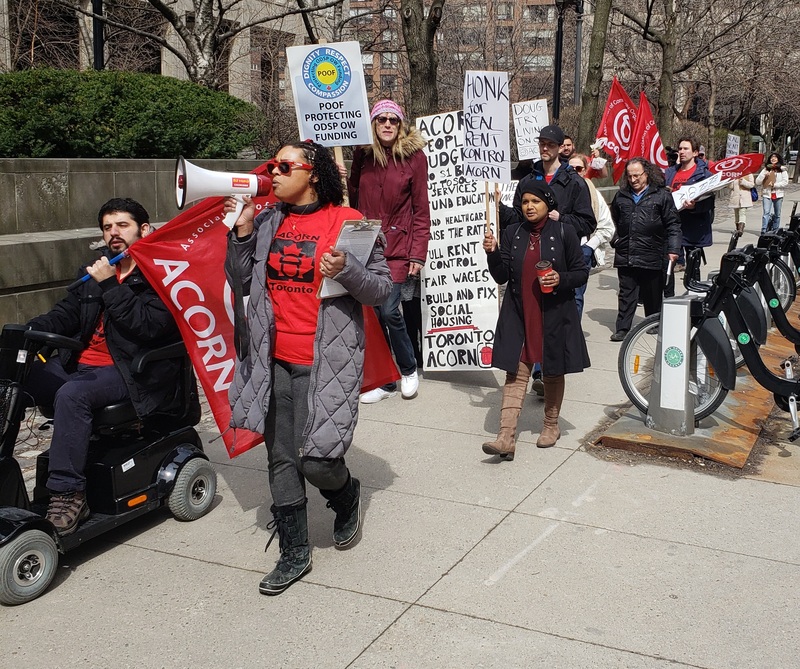 Toronto, ON - 18 ACORN members assembled outside the Ministry of Finance's Queen Park office midday Friday in response to the provincial government's recently proposed budget. 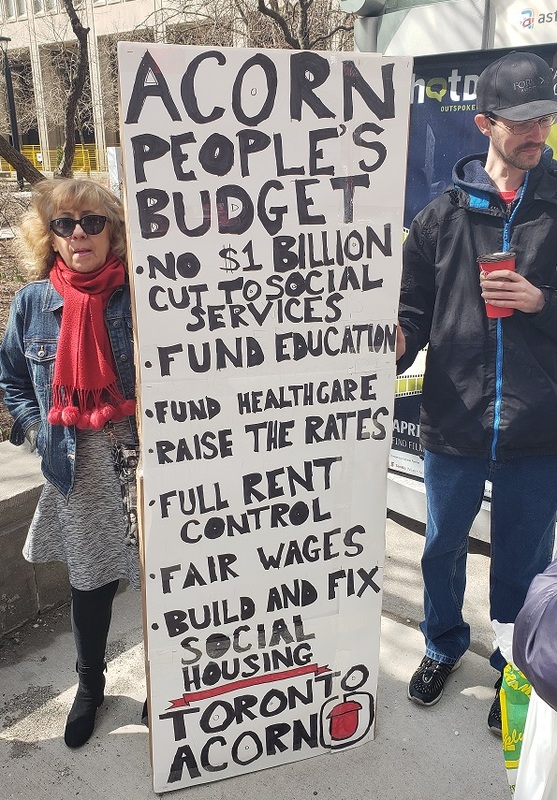 The proposed budget would make it even more difficult for struggling Ontarians to access essential services, so ACORN members organized a rally to present the minister of finance with a budget for the people, by the people. The march was led by Ebony Menzies, who brought more than enough energy for everyone attending, and Kelly LaLande, who spoke with Global News. Later, when the Minister refused to speak with ACORN members, Kelly LaLande and Bob Murphy personally delivered ACORN's letter of demands to an official of the provincial government. The event marked another showing of ACORN's passionate membership and their willingness to persevere in their fight against injustice.